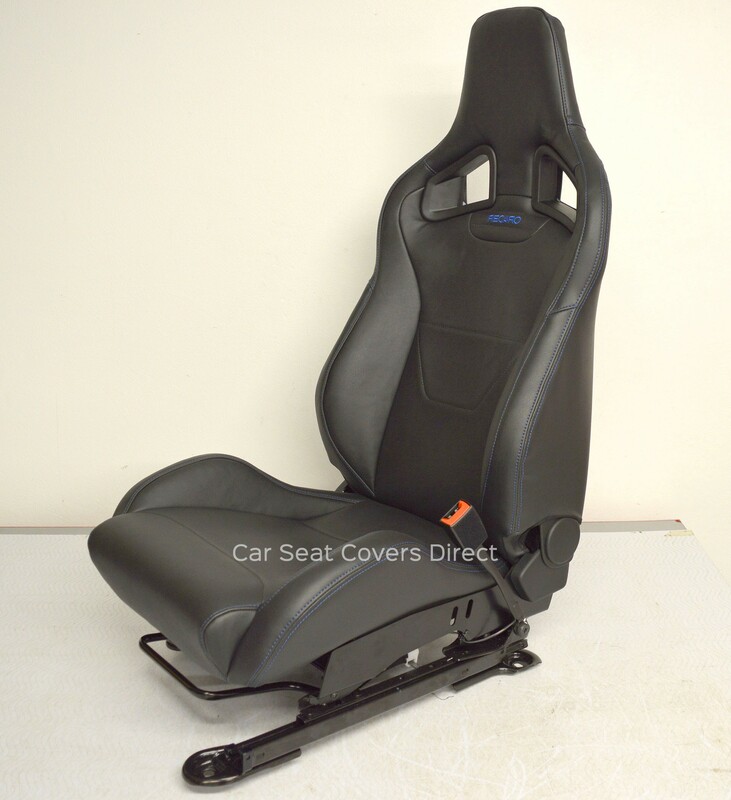 These seat covers we made specifically for the Recaro Sportster CS seats that can be found in a number of different makes & models such as the Vauxhall Corsa VXR, Ford Focus RS MK2 & MK3, Nismo Juke, Renault's RS Series and a number of others. 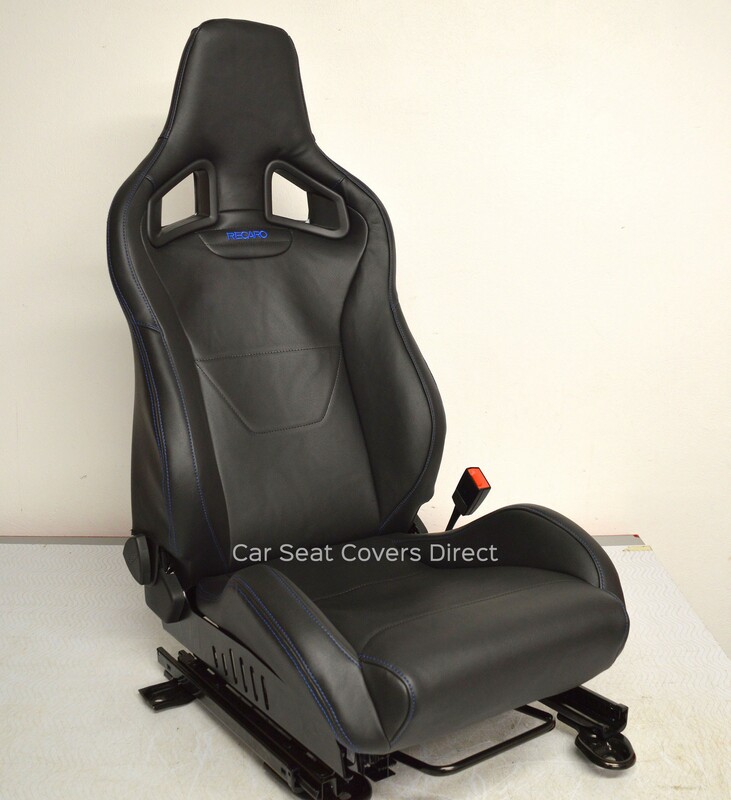 The covers shown in the pictures were made to replicate the Ford Focus RS MK3 seats with all black leatherette and blue edge stitching and blue Recaro logo. These covers have been created using the original seat as a template to get a glove like fit. 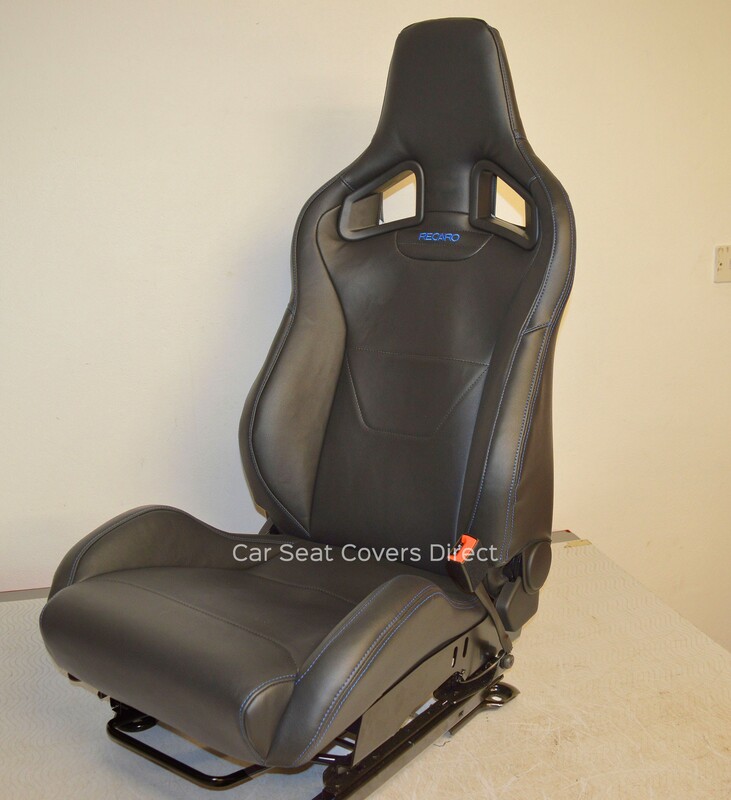 These covers are a fantastic alternative to reupholstering the seats and provide great protection to the original seats underneath. The benefits of these seats is we can full customise the covers to your preference such as change the colours of panels, stitching and logos. The price quoted is for 2 front seat covers in the design shown in the images. You can change the colour of the leatherette panels, as well as the colour of the stitching to your own preference at no extra cost. 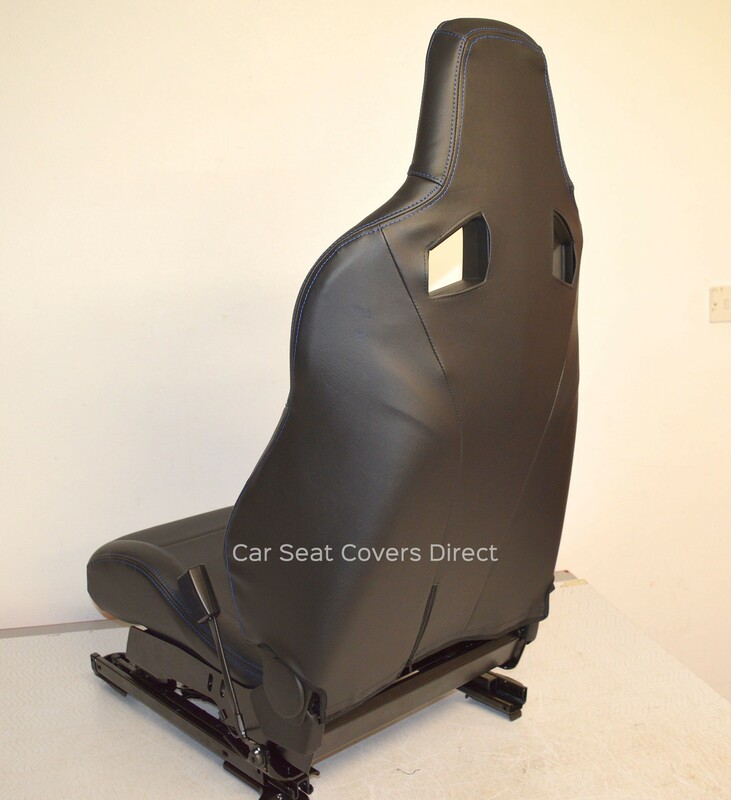 If you are looking for just 1 seat cover then it would be £145 + postage. The covers include foam backing, double top edge stitching, and 1 logos per cover.